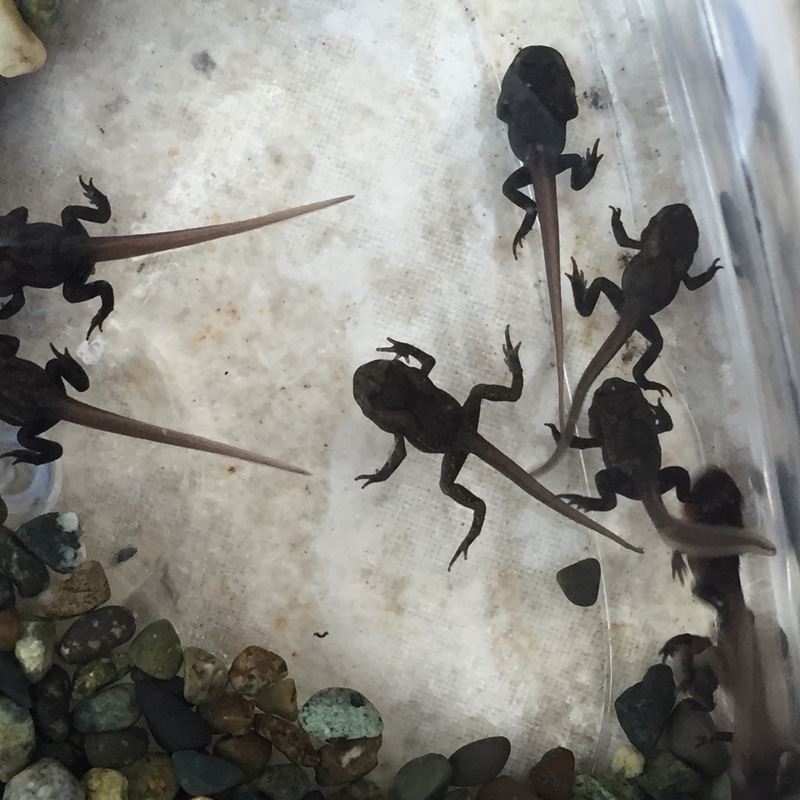 Froglets! They are still only about an inch long, but they look like frogs. Just they can’t walk on land yet. for a moment it looked like a poster of a horror TV series. but they are only about an inch long..!